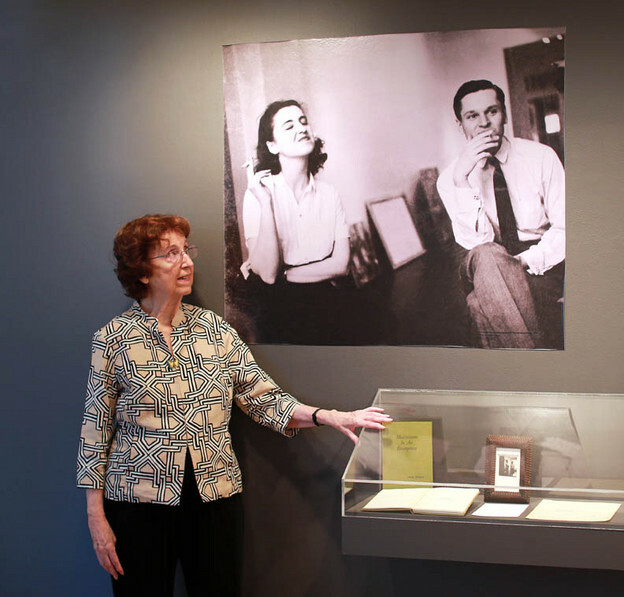 The 35th episode of PennSound podcasts presents an anthology of introductions to readings given by John Ashbery: Kenneth Koch in 1963, Susan Schultz in 1996, David Lehman in 2008, and Richard Howard in 1967. At right: John Ashbery. Photo by Arielle Brousse. People are much too free with the phrase “a great book of poetry.” They think if the book has ten really good pieces in it then it’s a great book. They don’t talk that way about albums. For it to be a great album it can’t just have some hits. You have to consider the not-hits, too. It is my great pleasure to announce Robin Seguy's genetic edition of John Ashbery's great poem "The Skaters." 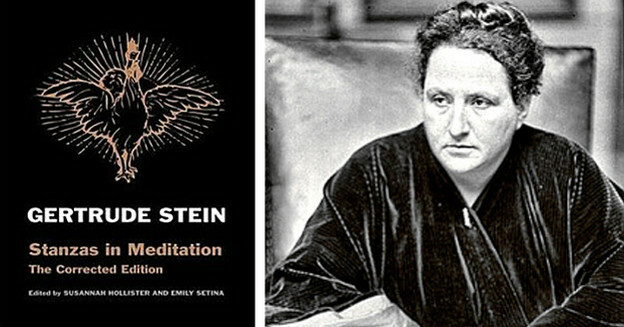 This is the first in the newly created Text/works series, a digital library that intends to make freely accessible critical editions and analytic tools for an array of 19th to 21st century French and American poetry collections. It's a love poem but perhaps, ultimately, it's directed at someone in particular. Perhaps John Ashbery’s “Some Trees” is a love poem for Frank O’Hara. They met at the time the poem was written, and they shared a twangy, bumpkin, non-Harvard accent. 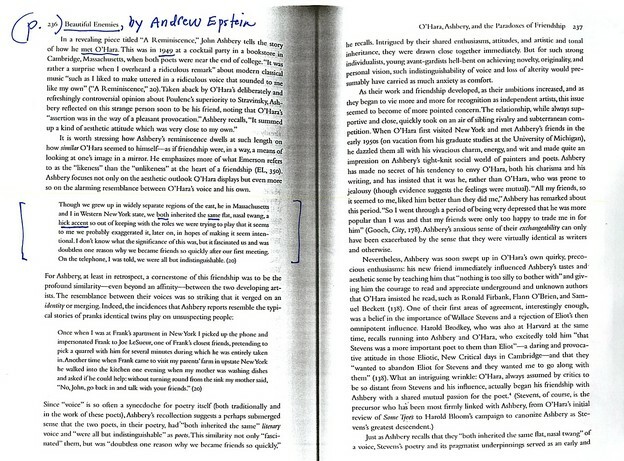 “These accents seem their own defense.” See, above, two pages from Andrew Epstein’s Beautiful Enemies. You might have to enlarge the image to read it easily. See the marked block quote in the middle of p. 236. 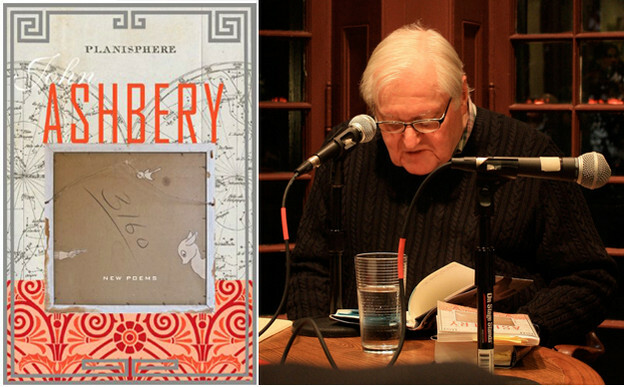 On February 12, 2013, I interviewed John Ashbery in his Chelsea apartment, and moderated a discussion with people gathered at the Kelly Writers House in Philadelphia while hundreds watched via live webcast. 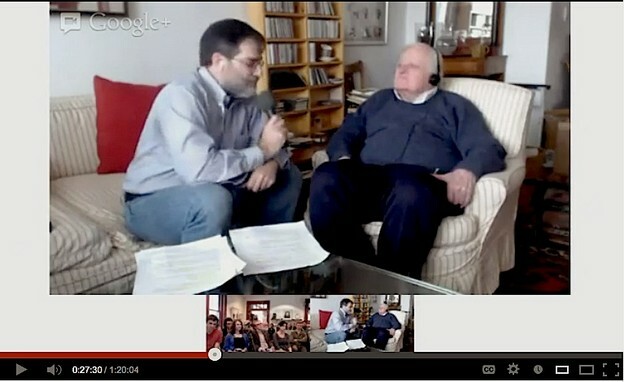 The live webcast, of course, was recorded and here is a link to the YouTube recording of the GoogleHangout video. Ashbery was the first of three 2013 Kelly Writers House Fellows, and this was his second time as a Fellow; he is the only writer, in 14 years of the series, to be asked to serve as a Fellow twice. The previous visit was in 2002. 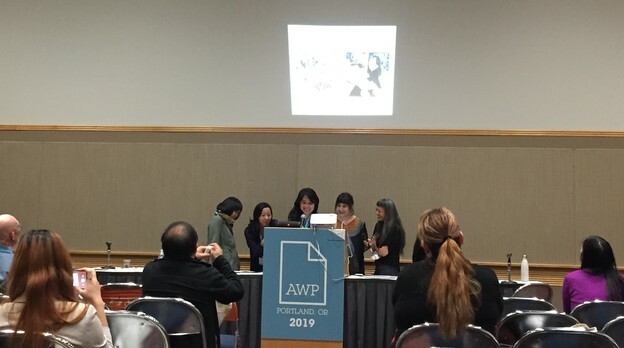 On Monday, February 11, the poet met for three hours with students in the KWH Fellows Seminar and then gave a public reading (also available as a recorded webcast). 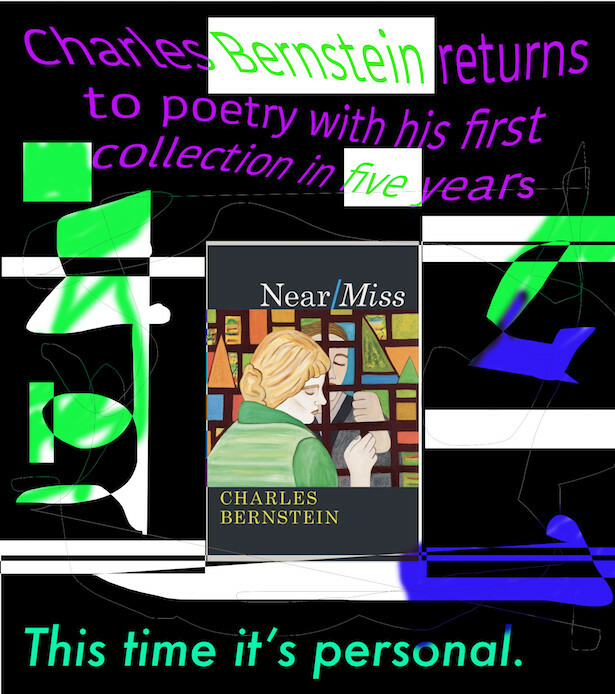 During the reading he performed several poems from his new book, Quick Question, and read two unpublished poems — one of them having been written just a few days earlier. 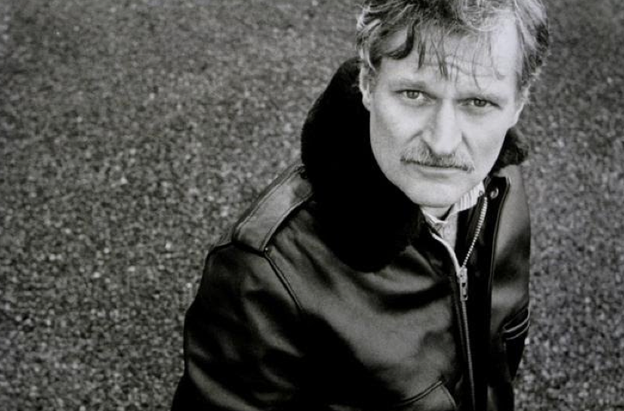 In the spring of 2012, Christian Hawkey was invited to participate in a festival celebrating John Ashbery at the New School (called How to Continue: Ashbery Across the Arts). 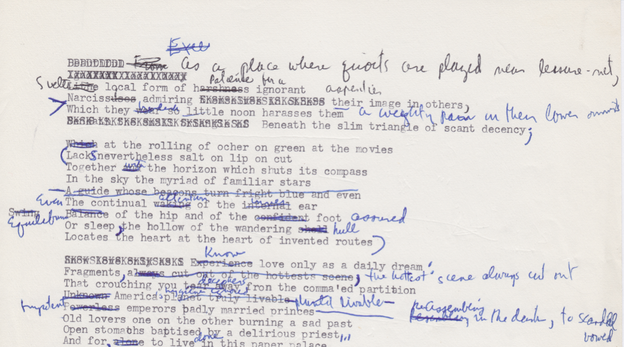 Each participant — poets, dancers, filmmakers — was invited to engage his or her work using a variety of media and disciplines, and Hawkey chose to explore his audio archives, or rather, the various recordings of John Ashbery that Pennsound has compiled over the years, beginning with his 1961 reading for the Living Theater. He became especially interested in listening to the room tone and background noise in all the recordings: the recorded texture of the room, the sound made by the recording device itself, and the non-vocal presence of Ashbery himself (a page turning, lighting a cigarette, sipping from glass of water and swallowing). Working with a friend, the artist Simone Kearney, Hawkey scanned the roughly 45 extant recordings on Pennsound to find, in each one, a clip of “silence” — a brief 3-to-7-second non-vocal moment (longer proved impossible to find) between poems, or between commentary and poems, or between title and poem. They then assembled the clips into one audio file. It was surprisingly difficult to do this, they found, since most sound engineers remove as much dead sound and background sound as possible, or they snip off the silence at the beginning or end of a reading.